KUNA, MAP (Rabat, Morocco, July 18, 2013) — Spain has reaffirmed backing to ongoing efforts within the UN framework to find a just and lasting political solution to the Western Sahara conflict. 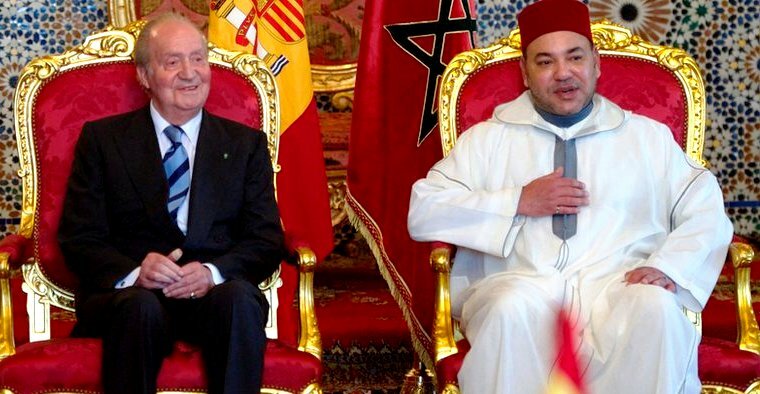 The position was expressed in a joint Moroccan-Spanish statement released here on Thursday at the end of the four-day state visit by King Juan Carlos I, of Spain, to Morocco. 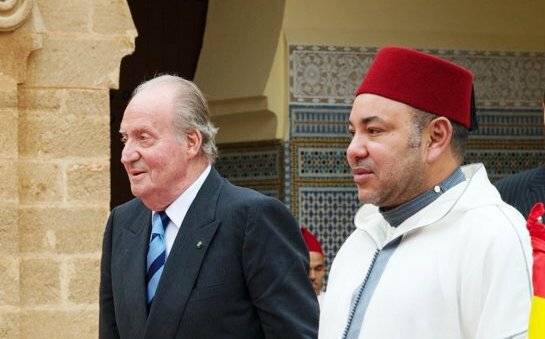 Spain’s King presented key to Rabat, UNESCO heritage site, on his final day in Morocco. The statement emphasized that Spain and Morocco should share the same views on issues of mutual interest, primarily the Middle East, Syria, Egypt and Sahel region. It highly commended the excellent bilateral relations in all areas, as well as the strengthening of exchanges at all levels between Morocco and Spain, and encouraged their governments to stay on this track to further this new model of good neighborliness between the two kingdoms. During the Spanish king’s visit, both sides determined a host of new projects for cooperation in educational, university and scientific areas within the framework of fresh technological partnerships. Spain also reiterated support for Morocco’s efforts to promote and reinforce cooperation with the European Union (EU), according to the statement. MAP reported that before his departure from Rabat-Salé airport on Thursday, the Spanish King was given the keys to the city of Rabat and accompanied King Mohammed VI in the inauguration of youth employment center in the municipality of Bouknadel. 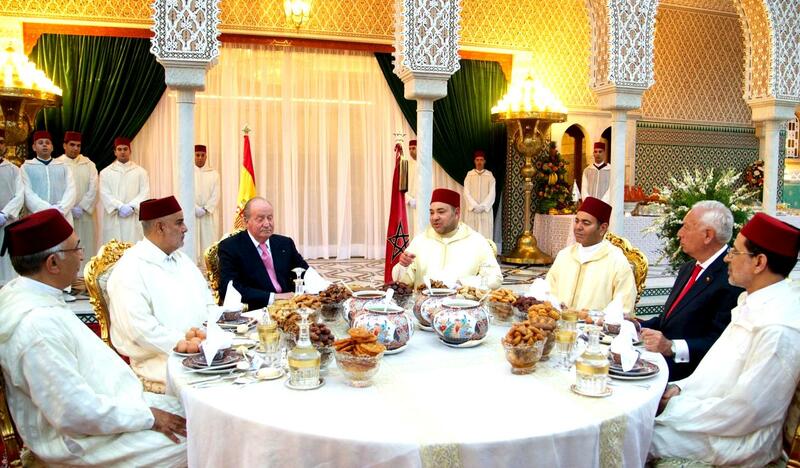 King Mohammed VI (right) with King Juan Carlos. Joint statement emphasized that Spain & Morocco should share same views on issues of mutual interest, primarily Middle East, Syria, Egypt & Sahel. The four-day working state visit focused on a range of economic, security and cultural issues. It saw the Morocco and Spanish Kings chairing the signing ceremony of a cooperation agreement between the Spanish Confederation of Entrepreneurial Organizations (CEOE) and the General Confederation of Moroccan businesses (CGEM). The Spanish Sovereign also met with Morocco’s Head of Government, Abdelilah Benkirane, and the Speakers of the two Moroccan Houses of Parliament, the presidents of universities in Morocco and Spain, and representatives of the Spanish community living in Morocco. The two sides welcomed the establishment of a new Friendship Circle for Hispanic-Moroccan figures which should serve as a catalyst for new active solidarity bonds.